Year: 2003/2004. 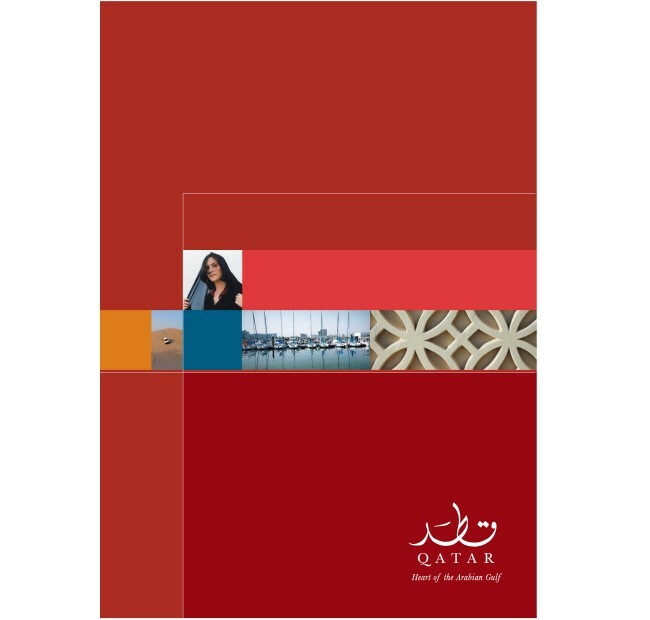 Client: Qatar Tourism Authority, Qatar. The exciting and incredibly challenging task of branding the country of Qatar was assigned to Tarek Atrissi Design back in 2003. The Qatar Tourism Authority was looking for branding the tiny oil wealthy Arabic country, and to project it regionally and internationally as a attractive touristic destination. The project was a unique nation branding case that was the first of its kind in gulf region. It consisted of creating the full elaborate visual identity for Qatar; an identity that reflects the strategy and long term vision adopted by the country. It included designing a logo, full brand visual guidelines, printed promotional material, digital and web elements as well as an advertising campaign in a variety of media. Designing the identity of a country is probably one of the most challenging and unique projects a designer could face. The responsibility behind giving the right image, the appropriate logo and the accurate feel that truly reflects the country is certainly not an easy task. Where does one start when designing a logo and a visual identity for an entire country? Can the entire culture and image of a nation be reduced into a visual identity system? The graphic solution created was simple, modern, inspired from the rich Arabic heritage of the country. It was expressed to appeal both to the local community and to the westerners targeted in the tourism campaign, which launched the new image of the country. The minimalist logo used an innovative calligraphic style of the Arabic word Qatar, underlined with the Latin word in the classic Baskerville typeface. For the Arab reader, the logo was a visual signature of the country. For the non-Arab reader, the calligraphic shape became abstract forms where interpreted differently by people and linked to various visual associations. Showcased on this page is a small selection of the wide variety of design work developed by Tarek Atrissi Design for the government of Qatar, including the TV commercial created as part of the campaign to support the launch of the identity. 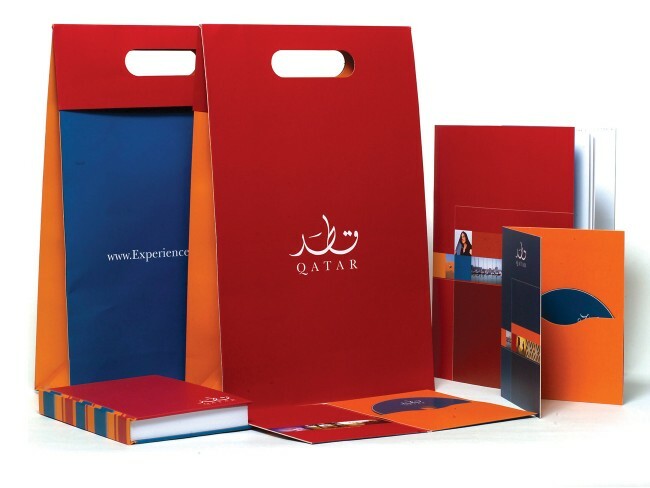 The project included as well the creative director and brand identity implementation within the stand design adopted by Qatar in international travel forums. The identity developed by Tarek Atrissi has been featured in top international design publications and became a reference and case study project in the field of nation branding. 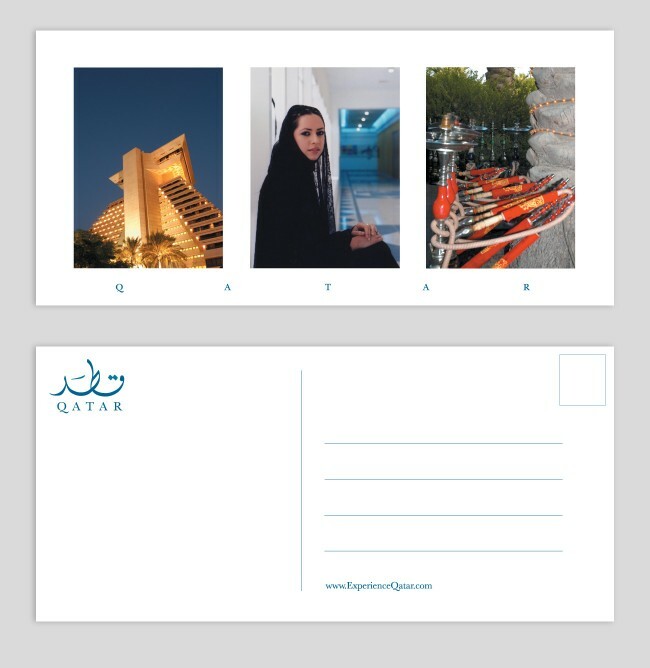 It was at the time one of the most visible emerging brand design in the region, and its minimalist graphic approach was a positive influence on large-scale governmental projects in the Arab world.